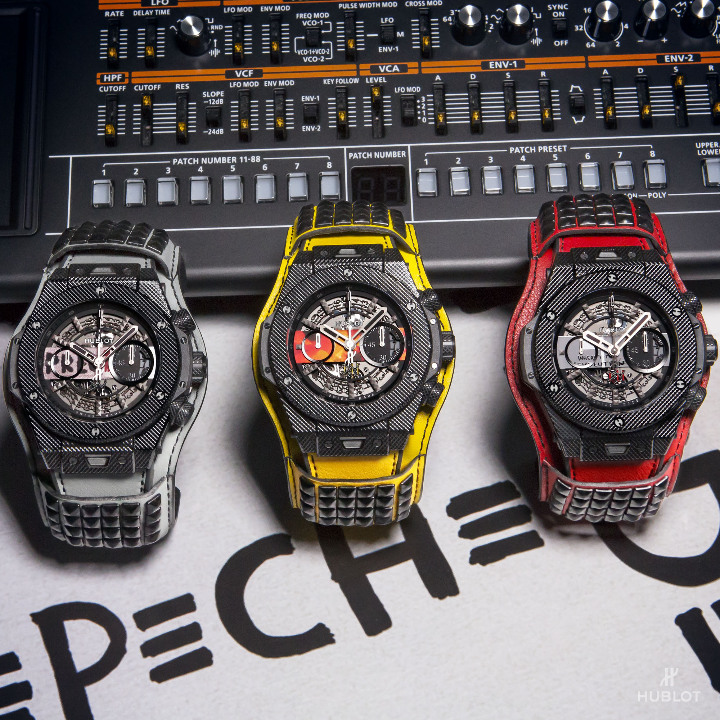 Hublot and Depeche Mode are releasing a collector’s edition series of 55 unique Big Bang watches, inspired by each of the band’s 55 singles. All net proceeds from the sale will benefit charity: water. 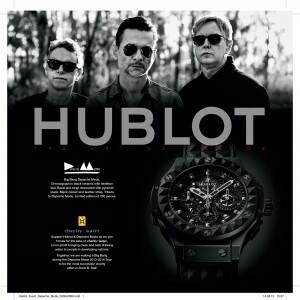 Hublot and Depeche Mode work together since 2010 – always for the benefit of the NGO. One of the most influential, beloved and best-selling musical acts of all time, Depeche Mode have sold over 100 million records worldwide and have played to more than 30 million fans since their formation in 1981. And, in their 37-year career, Depeche Mode have released an incredible 55 singles, from “Dreaming of Me” in 1981 to last year’s release of “Cover Me”. 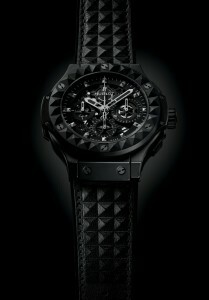 As previously mentioned are all 55 models unique pieces, basing on Hublot’s Big Bang. 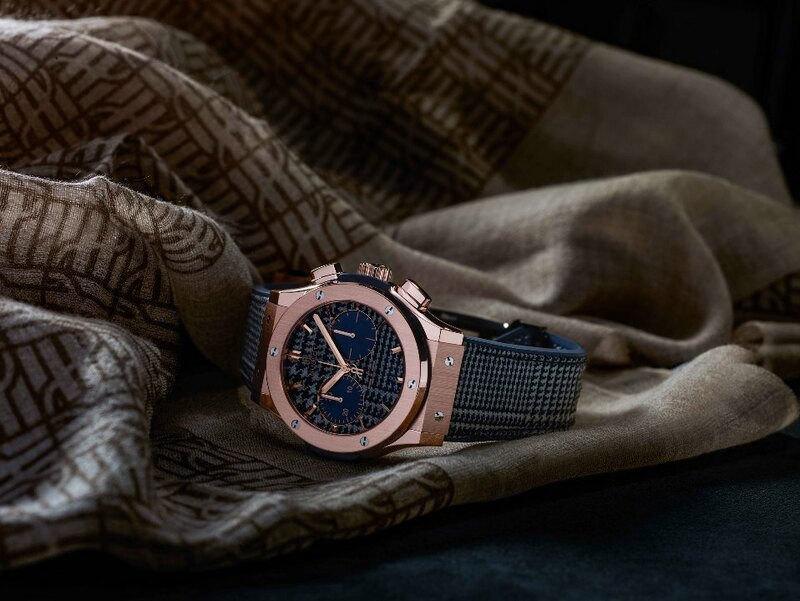 Each of the watches features, on its dial, a disc that partially shows the image of the record cover it represents, which is reminiscent of the very first model produced by the partnership between Hublot and Depeche Mode. The back of each watch features the entire cover of the single as well as the charity: water logo. The case has a diameter of 45 mm and is made from polished black ceramic. They are water resistant up to 10 atm. 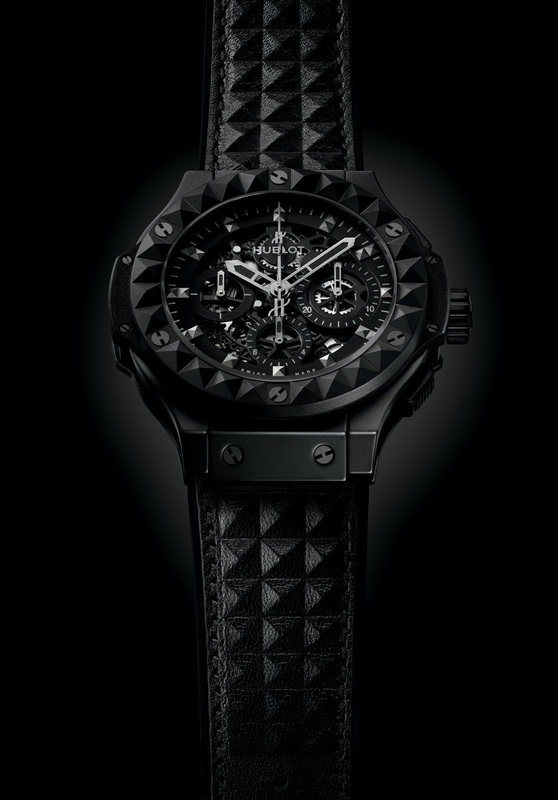 All Big Bang Depeche Mode “The Singles” watches are powered by UNICO movements. Produced by the Hublot manufacture. The automatic calibre HUB1242 is a flyback self-winding movement chronograph; it works at a frequency of 4 Hz and provides a power reserve of 72 hours. Jedes Modell ist mit einem Armband in einer speziellen Farbe ausgestattet. Die Kollektion ist mit dem UNICO Werk aus Hublots eigener Manufaktur ausgestattet. Das Kaliber HUB1242 ist ein Automatikwerk mit Flyback-Chronograph und bietet eine Gangreserve von 72 Stunden. Es arbeitet mit 4 Hz oder 28.800 Halbschwingungen pro Stunde. Each piece will be fitted with a strap in a colour specific to each model, completed with cuff straps in the same hue, and rock-and-roll inspired rubber studs. A Roland JP-08 synthesiser will accompany each timepiece. The Roland JP-08 is a limited-edition synth module from the Roland Boutique series, paying homage to the legendary Roland Jupiter 8 synth, used by Depeche Mode throughout the years. 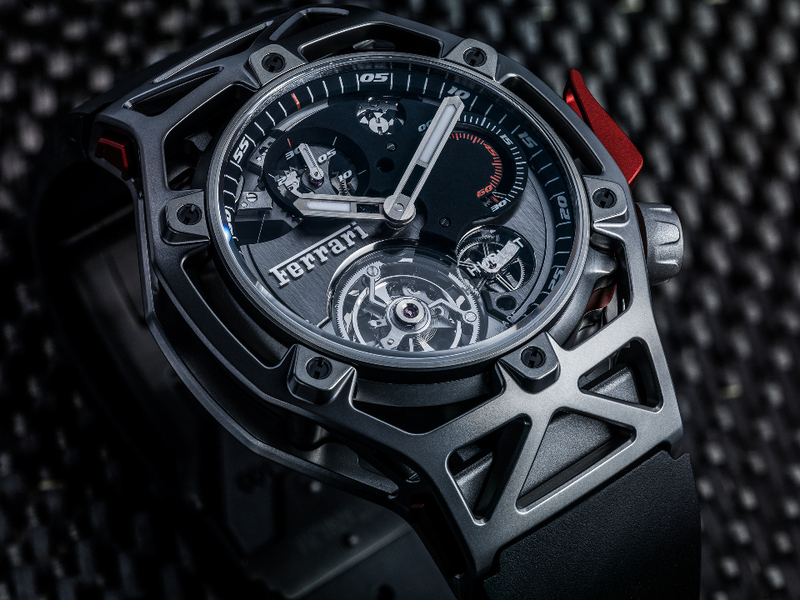 To celebrate Ferrari’s 70th anniversary, the Italian marque and its partner Hublot are presenting a new original collection. 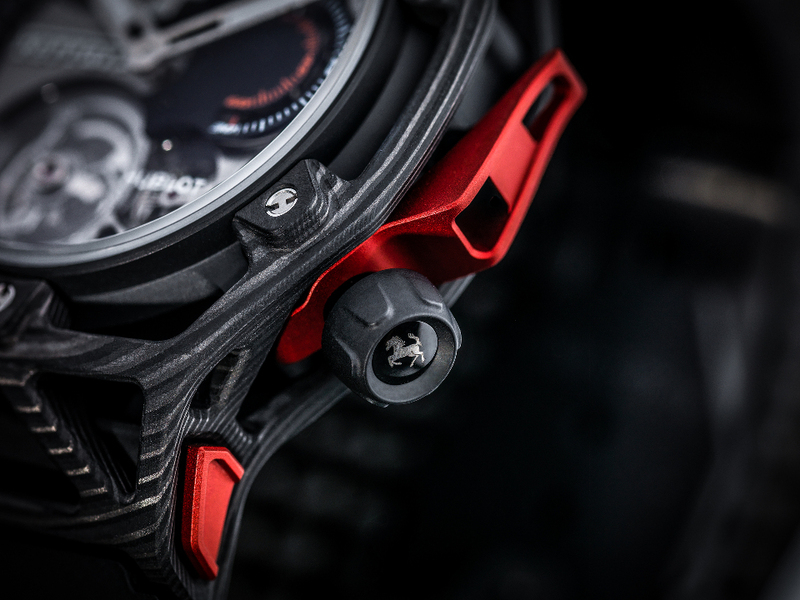 Conversed with the same approach used for designing a car at the Ferrari Design Centre and integrating Hublot’s watchmaking expertise, the Techframe Ferrari 70 Years Tourbillon Chronograph opens a new chapter in the partnership that unites Hublot and Ferrari. Designed by Ferrari, crafted by Hublot – what’s the worst that could happen? 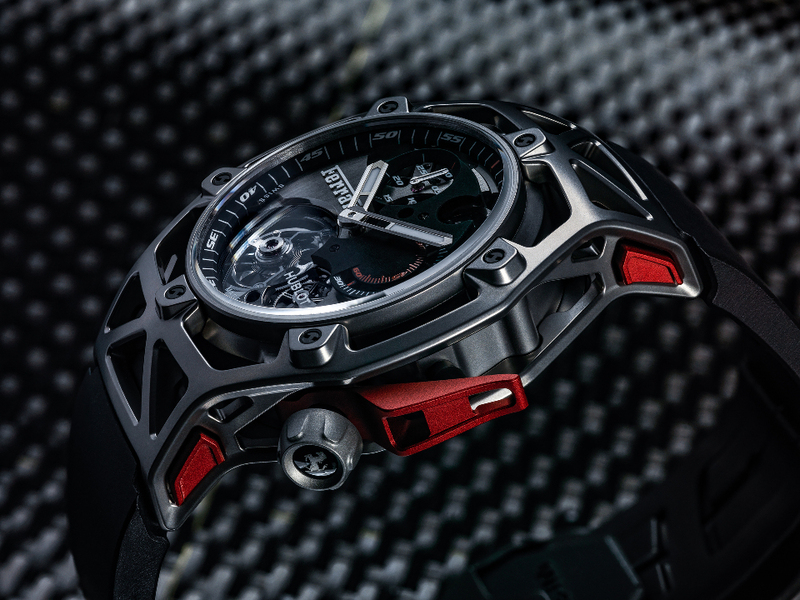 This watch is the result of a team effort that began with Ferrari in maranello and ended in Nyon with Hublot. This new line in Hublot’s collections is intended to offer a watch that is deeply rooted in Ferrari’s DNA – combining strength, performance and agility – while being produced and perfected by the Hublot manufacture. Created and designed by Ferrari, under the leadership of Head of Design Flavio Manzoni, the new Techframe Ferrari 70 Years Tourbillon Chronograph was designed by Ferrari, using the same creative processes as that used to developed a new sports car. The starting point for the designers was the Hublot movement around which they freely designed a high performance chassis. Like that of a Ferrari, its lattice structure offers maximum strength for minimal weight. The black structure on the dial holds the chronograph counters and offers excellent legibility. The crown at 4 o’clock reduces the size of the watch and increases its aerodynamic look. Finally, the red push-button makes the design more ergonomic. The chassis case comes with a modular construction and consists of three components – a skeleton middle, container, and back cover. Beyond its design, the Techframe Ferrari 70 Years Tourbillon Chronograph is an epitome of fine watchmaking. This tourbillon chronograph is driven by a movement that was designed and developed by Hublot: the new HUB6311 calibre with manual winding which offers 5 days of power reserve. The tourbillon is visible on the dial and it offers both the aesthetics of a flying tourbillon and the operational stability of a tourbillon with two pivot points. It rotates once a minute. The Ferrari logo is clearly visible at the 9 o’clock position whilst the Hublot logo is at 5 o’clock. The sapphire crystal reveals the mechanics that it shelters. A matt black block, affixed to the sapphire holds a twin half-second counter at 3 o’clock, the minutes counter at 11 o’clock and the column wheel at 1 o’clock. The Techframe Ferrari 70 Years is available in three versions – King Gold, PEEK Carbon, and Titanium – each of which is produced in 70 limited editions. Every watch comes with a black rubber strap. Hublot will introduce a new collection at the Baselworld 2017 in which the watchmaking expertise of the manufacturer combines with the creativity of Italian Independent and the treasures of the Italian tailor Rubinacci. Since 2014, two collections have been born from the partnership between Hublot, Italia Independent and Lapo Elkann. 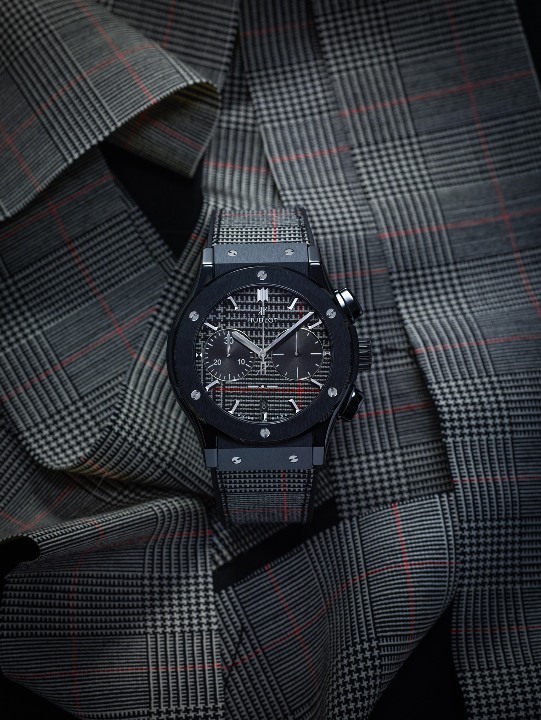 Although both of the previous collections were based on the Hublot Big Bang Unico model, but this time the creative team has decided to go with the Classic Fusion model. Its name seems to have predestined it for this new special edition, because it is a fine example of the fusion of the “classic” and innovation. For Lapo Elkann, the founder and artistic director of Italia Independent, has always put customization and bespoke designs at the heart of his different projects. For him, unique objects, the fact that they became truly his in the designing process while simultaneously meeting the taste of his clients, represent real luxury. 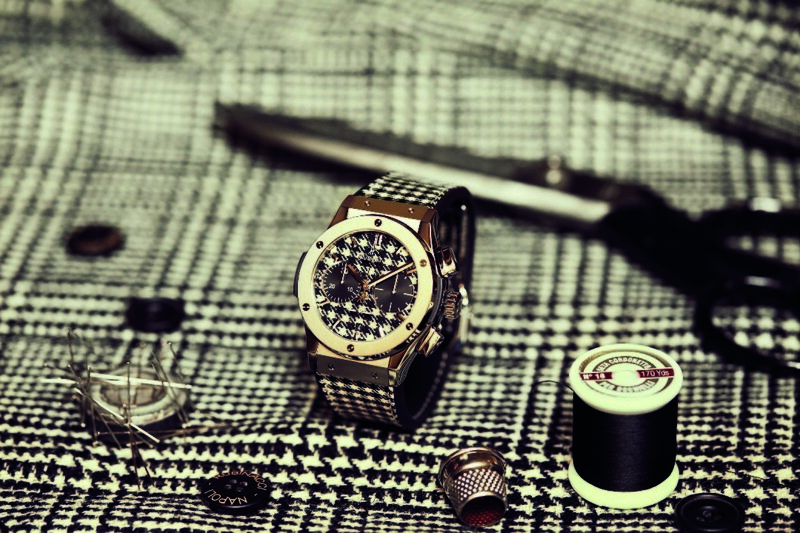 Decades of experience, the “Tailor Made” program as well as customizing cars, boats, planes and helicopters made the frequently named “most elegant man in the world” uniquely qualified for working on Hublot’s Classic Fusion Italia Independent Collection. The sartoria Rubinacci is an institution known for its good taste, masculine refinement and its beautiful collection of fabrics in its archives. The combination of those three parties – Hublot, Elkann, Rubinacci – created with the Classic Fusion Italia Independent a truly unique collection. 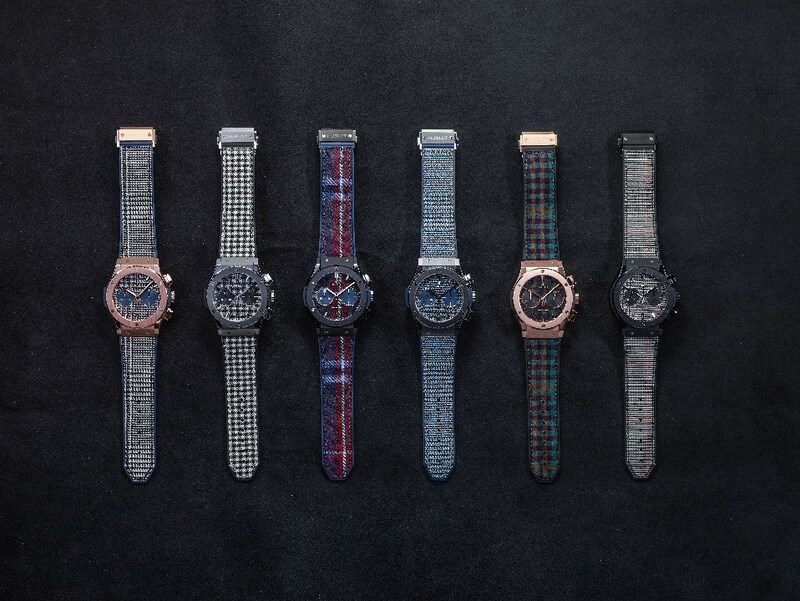 The collection features six models in total, combining four different fabrics with three cases. The Chronograph Independent Titanium, the Chronograph Independent Ceramic and the Chronograph Independent King Gold. The chosen fabrics are a traditional Houndstooth, two different tartans and the “Prince of Wales” cloth. The fabrics are not only found on the dials of the watches but also on the straps; sewn on top of black rubber. All Classic Fusion cases have a diameter of 45 mm are water-resistant up to 5 atm. The dials are protected by a sapphire crystal and all watches are powered by an automatic chronograph movement, the HUB 1143, which works at 4 Hz and provides a power reserve of 42 hours when fully wound. 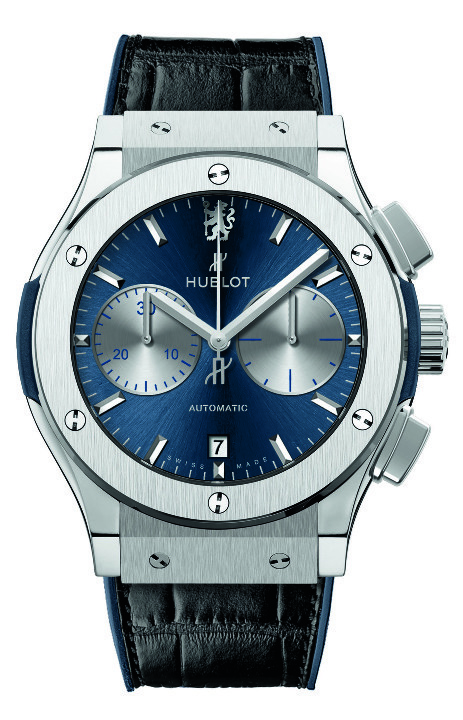 The design of the Hublot Classic Fusion Chronograph Italia Independent is beautifully conclusive. The chosen fabrics complement the materials of the case perfectly, so does the stitching of the straps and the details on the dials. Aand all of this leads to a perfect balanced watch. These watches are clearly not made for everyone but we predict that they will definitely find way more admirers than this edition has models. There will only be 50 pieces of the two King Gold models as well as of the Ceramic Tartan and the Titanium Prince of Wales. 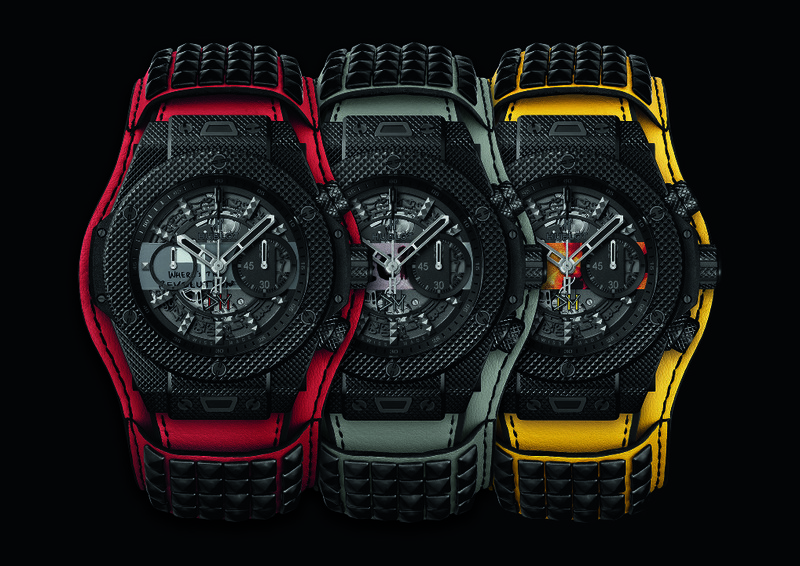 The Ceramic Prince of Wales and the Titanium Houndstooth models are limited to 100 pieces each. In the new Hublot Big Bang Meca-10 Magic Gold a mechanical movements meets Magic Gold, the hardest variety of gold in the world. 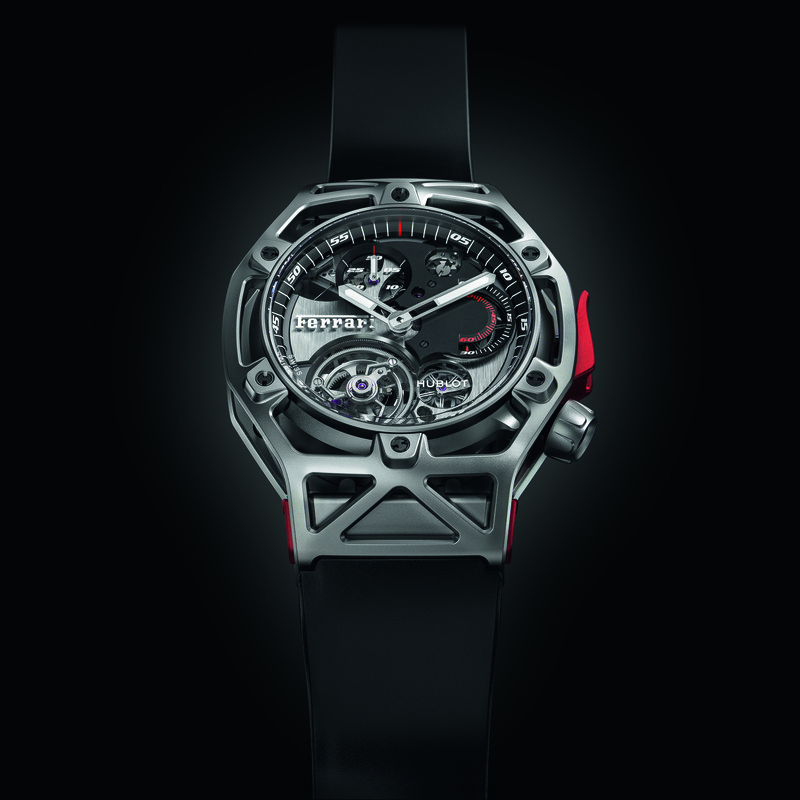 It was developed by Hublot in a partnership with the EPFL and it is already patented. 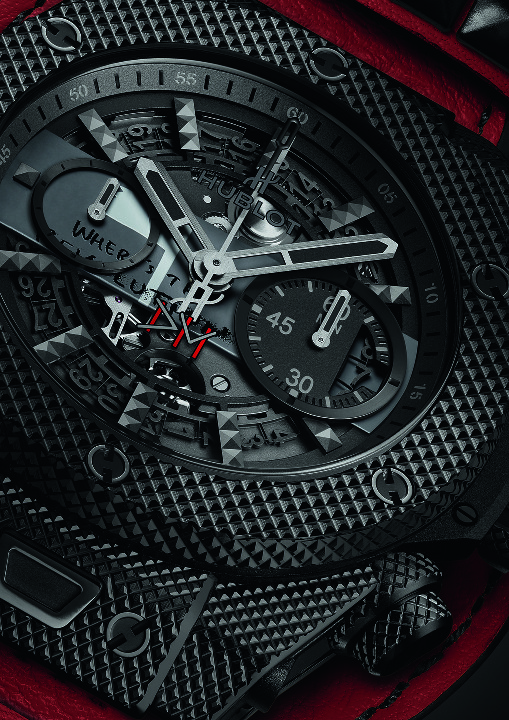 The Big Bang Meca-10 is the very archetype of the Hublot philosophy. This watch is a demonstration of the journey undertaken by the Hublot Manufacture, a story with quite a few world firsts. The Maison sees materials as an endless source of possibilities and movements as the opportunity to escape watchmaking norms. And that’s what fans love about Hublot and its watches. The Big Bang Meca-10 Magic Gold features a Hublot Manufacture movement with built-in mechanics – the HUB1201. The calibre features two parallel barrels with a rack-driven power reserve indication system, two racks sliding on a 9 o’clock to 3 o’clock axis, a double power reserve display and a Meccano-inspired architecture for an innovative construction. On the dial side, the Big Bang Meca-10 Magic Gold reveals the mechanics of the movement and the unusual architecture of its rack-driven 10-day power reserve. The movement works at a frequency of 3 Hz and is made out of 223 components. Magic Gold is the hardest gold on the market and it is highly scratch-resistant. Only diamond tools are capable of machining it and demonstrates a hardness of almost 1.000 Vickers. 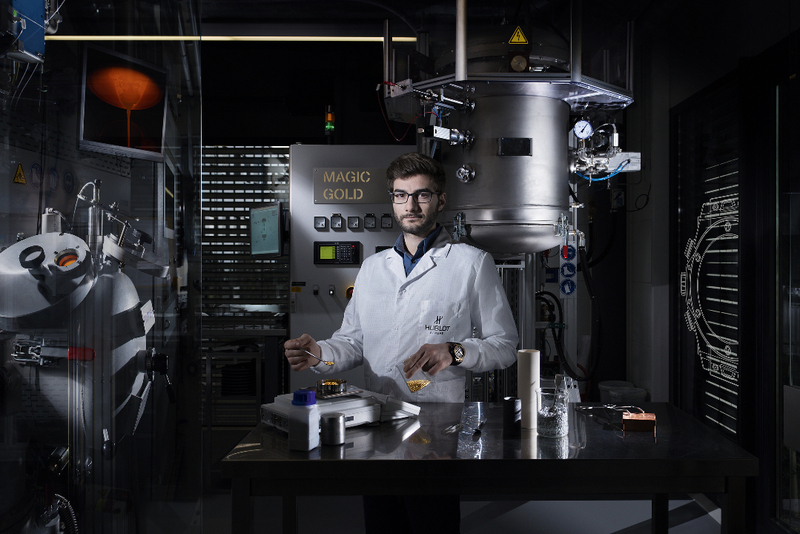 Magic Gold was created by the fusion of 24-carat gold and ceramic. Case and bezel are polished to achieve the best look possible. The dial is protected by a scratch-resistant sapphire crystal. The power reserve lays on 3 o’clock, a small second is placed at 9 o’clock and we love the unusual date display at 6 o’clock. The case measures 45 millimetres in diameter and 15.95 in height. It is water resistant up to 10 atm and features a black rubber strap with structured lines. The buckle is made from black-plated titanium. 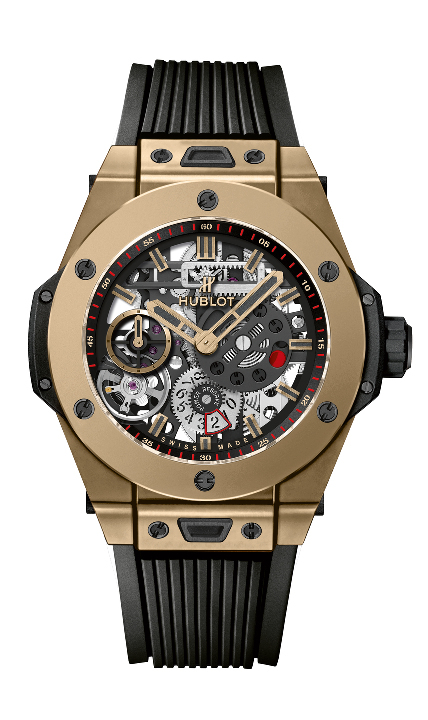 The Hublot Big Bang Meca-10 Magic Gold is a limited edition of only 200 pieces. So hurry up! 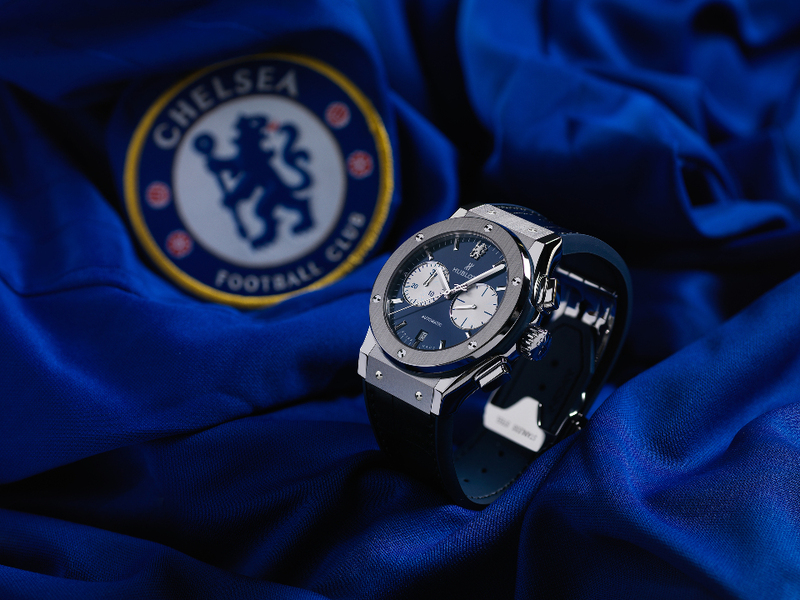 Swiss watch brand Hublot and Chelsea FC teamed up and launched the first watch made to celebrate the dynamic partnership between them. The official presentation of the Hublot Classic Fusion Chronograph Chelsea took place at the club’s Surrey training base in the presence of Ricardo Guadalupe, CEO of Hublot and Christian Purslow, Head of Global Commercial Activities at Chelsea FC. The new watch is seen as the perfect marriage of the two organisation’s values. Both, the Swiss watch company and the globally recognised football club are associated with quality, tradition and the pursuit of excellence in everything they do. For Hublot, that’s creating high-quality, technically flawless watches that communicate an appreciation of stylish design and the finest manufacturing standards; for Chelsea, it’s playing beautiful, technically precise, high-quality football that will propel them for further success. Hublot and Chelsea announced their partnership in August 2015 on the first day of the 2015/16 Premier League season. 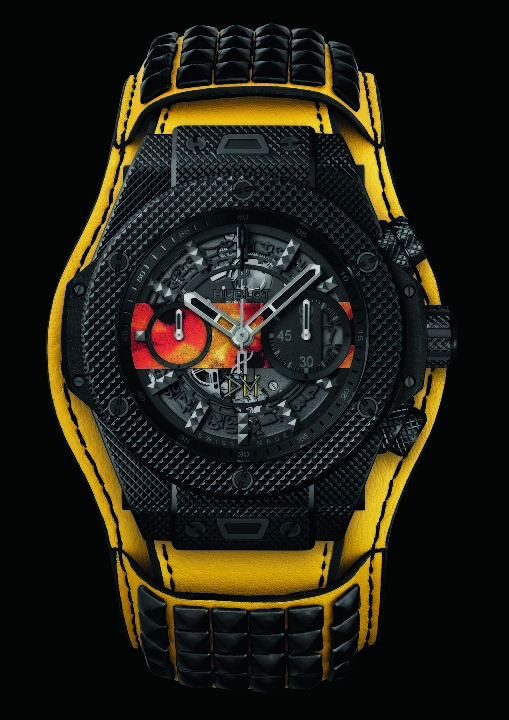 Hublot is known for its love for football. It was the first luxury brand to invest in football 10 years ago and has a close cooperation with FIFA as the Official Timekeeper and Official Watch of the FIFA World Cup, with UEFA since 2008 and with some of the most prestigious clubs worldwide. 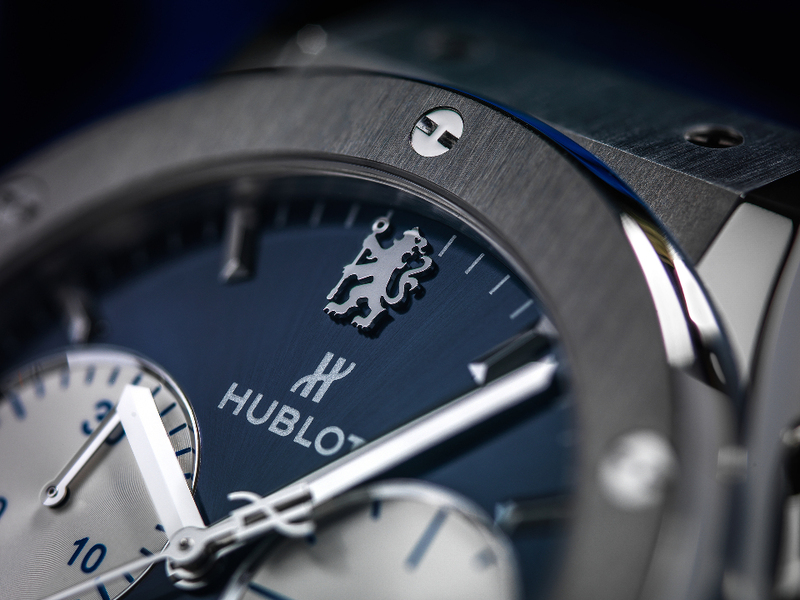 The Chronograph is the first watch made in partnership between Hublot and Chelsea. It features a 45 mm satin-finished and polished titanium case and bezel, and is powered by the calibre HUB1143, an automatic chronograph movement that provides the watch with twin counters at 3 and 9 o’clock, a date window at 6 o’clock and a 42-hour power reserve. The decorated movement can be seen through the watches sapphire case back. The dial is blue, inspired by Chelsea colours, and has a sunray satin finish and a Chelsea FC Lion appliqué at 12 o’clock. The watch is water-resistant to 50 metres and comes on a black leather strap with a blue rubber lining and trim. The Classic Fusion Chronograph Chelsea is a limited edition watch of 200 pieces. Hublot and Depeche Mode announced a special charity partnership to benefit the non-profit organization charity: water, that is bringing safe drinking water to the developing world. It’s not the first time that the English Rockband and Hublot support a charity. In 2010, they raised funds for the Teenage Cancer Trust. This unique initiative is part of Deepeche Mode’s „Delta Machine“ tour. 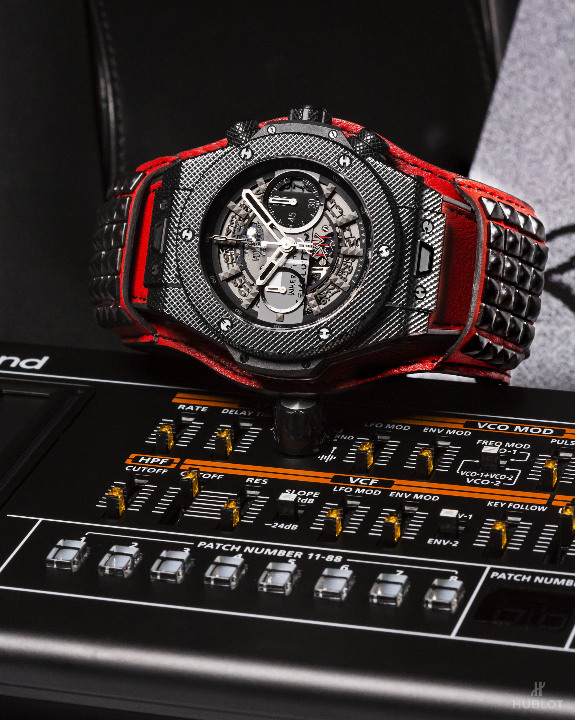 As charity partner, Hublot has designed a watch especially for this collaboration: the limited edition Big Bang Depeche Mode. A portion of the proceeds from the sale of every watch will go directly to charity:water.